Martin Olson, the voice of the Lord of Evil himself brings us the first ever Adventure Time Encyclopedia. 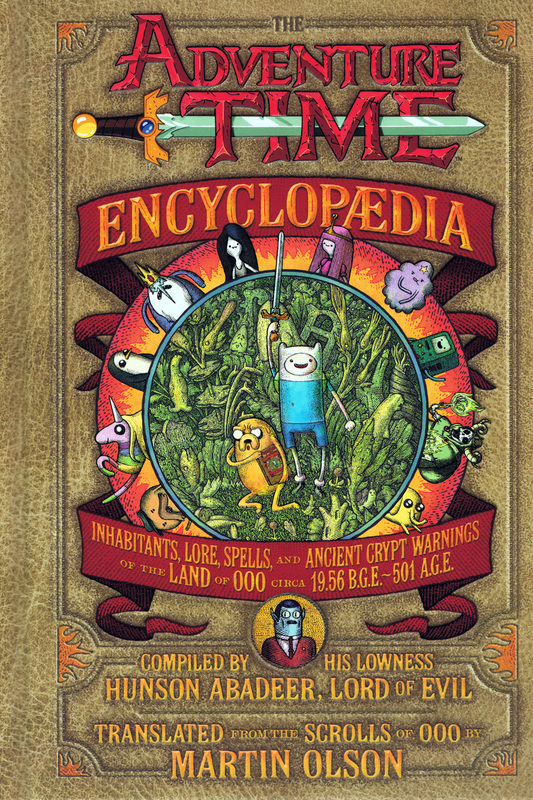 There may be a series of excellent Adventure Time graphic novels but this Encyclopedia is a different kettle of fish. It starts with a backward foreword, literally, it’s completely backwards and art inspired by the show that will completely blow your mind. Then it breaks up into five main chapters, including Worthless Inhabitants of the Land of Ooo, Utterly Insignificant Inhabitants of the Land of Ooo, The Land of Ooo and You, The Lost Texts of Ooo and Forbidden Chapters of the Encyclopedia of Ooo. Spot the reoccurring theme! Yes, this book is your undisputed guide to Ooo, all through the evil eyes of Marceline’s Dad, The Lord of Evil. How did the Ice King become a Princess thief? Who’s the most important person in the Land of Ooo? And will you help the computer technician escape the finals pages? Let us be honest, Adventure Time is the best cartoon running on television at the moment so the encyclopedia has a lot to live up to but I’m happy to report it encapsulates the quirky and utterly bat sh*t crazy of the cartoon perfectly. The physical book is a thing of beauty and it’s contents are great fun, unmissable for any Adventure Time fan.